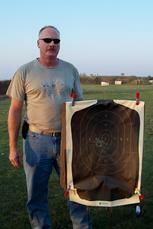 Link here to see our July Advanced Carry Class - a fantastic group! 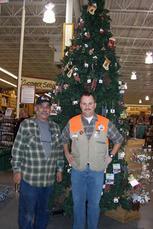 Rusty and our December Class - thanks for your service guys! Theresa and Les are right on target! Randy and the girls enjoy the range activities. Our October 2007 Class - a great bunch! Krystal wows Rusty with her great shooting! Bill knows how to place those shots! Three generations of the Beach Boys! Hard to say which is most handsome or which one shot better. Our September 2007 Fargo Class - a great bunch! John has great shot placement! Larry and June with Rusty. All are Refuse to be a Victim Trainers for the NRA. John, Buck, Rusty and Jim finish the Utah Training - Thanks Gander Mountain!